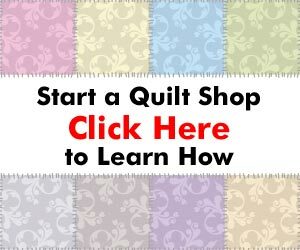 I have just signed up for your seven-day e-mail course, but wanted to ask a quick question with regards to defining a target audience… How would you describe the kind of people / customers that will buy patchwork quilts? Also, is their a secret to creating your own niche? Your question is an interesting one. First off, how do you define who will purchase patchwork quilts? That really depends on how you are handling the business. Are you looking to make custom patchwork quilts to order? If someone is looking for a patchwork quilt to match their decor, then this is a totally different prospect than somebody who will purchase an already made quilt. For my money, the person who custom orders is the better prospect as they are going to expect to pay more, and will be getting a one-of-a-kind heirloom they can pass down to their children. As far as creating your own niche, there really is no secret. It comes down to your unique selling proposition. Most successful businesses have a unique selling proposition that sets them apart from their competition. For your quilts, you could focus on a certain style of quilting, or perhaps make quilts that are centered around a theme. To help establish yourself as the lead person in that niche, you could employ a little saavy marketing. Use the local press to get some publicity. Work on the angle of your niche, or perhaps tie into a charitable organization. The press love these types of special interest stories. Also, you should create an image for your business that reinforces your place in your niche. Create business cards, small brochures, and quilt labels that match your theme and brand your business. And finally, come up with the story of your business. Make it a compelling narrative about the care that goes into your quilts, the quality of the fabrics, the techniques, etc. — anything that will reinforce your brand. But, if you're already thinking of niching your business, you're on the right track.